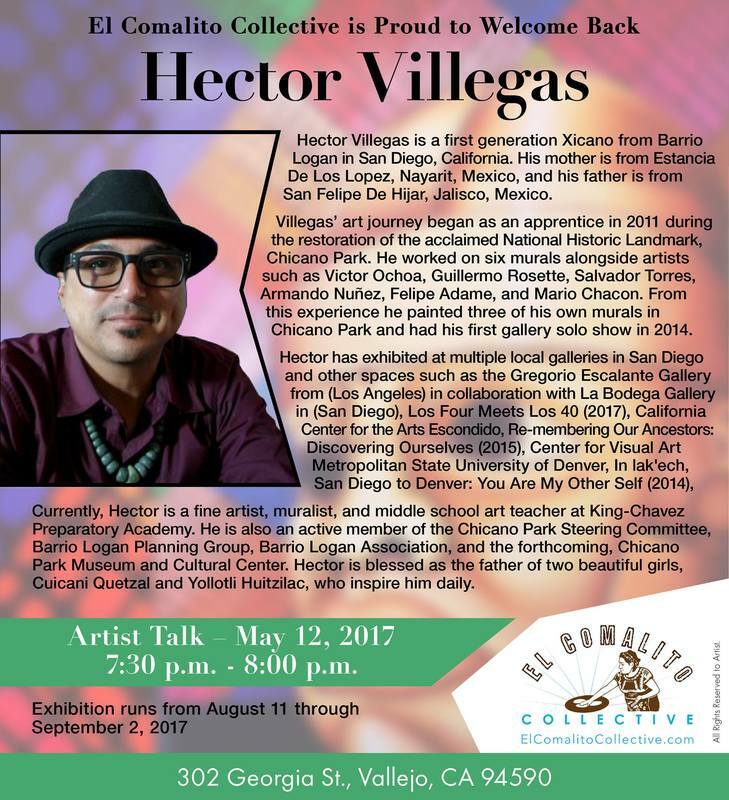 I am very excited and fortunate to have this opportunity to share my work with everyone visiting El Comalito Collective for my second solo show. I put a lot love, energy and passion into my art. I hope it is impactful for everyone and opens up corners of your minds, hearts, and ancestral memories. I will always have great reverence for those who came before me. I am proud of my culture and the colorful splendor of our traditions. Anahuak Visions of Culture and Tradition is a representation of my past, present and future as a Native to this land. These images allow me to share and maintain the connection to my true and rooted identity; not forced labels, which create confusion and division of our people. For over 500 hundred years, invaders have tried to erase us from our own land and brainwash survivors up until this day. The art, teachings, language, foods, temples, ceremonies are still alive and so are we!